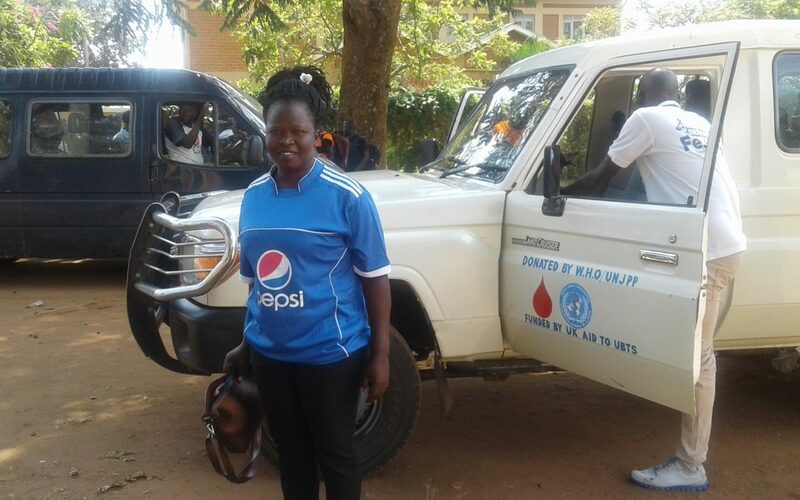 Lira blood bank collection centre got over 50 units of blood in a drive held alongside a friendly match between Okanidero FC of Agweng Sub County, Lira District and Radio Wa’s Wa Pax FC. The football match attracted a huge crowd that turned up at the Sub-county headquarters ground on Sunday 25th November, 2018. Robert Pius Okello Atia, the blood bank collection centre manager for Lira branch said the blood units were collected within four hours saying, its a clear sign that people have now developed the heart of helping those in need of blood. He called upon the people of Lango to turn in big number whenever they appeal for blood donation especially when they predict a dry period since the majority of the students they depend on are breaking for holidays. He thanked the management of Radio Wa, the sponsors of Wa Pax FC for organizing the football match that helped in mobilizing for the blood donation, and the people of Agweng for turning up in an encouraging number to donate blood. Wa Pax FC which vision is to promote peace among the community through sports were beaten 1-0 by Okanidero FC, a local football team in Agweng in a thrilling match. After the match that was also broadcast live on Radio Wa, a dozen of other invitations have been received by Wa Pax FC Chaplain Rev. Fr. Leone Okello, Curate Lira Cathedral Parish.